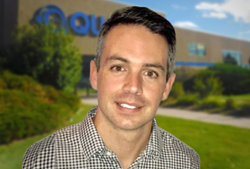 Steve DiBari joins Qualfon as the new VP for Client Relations. DiBari joins Qualfon with more than ten years of experience in call center management in various roles, ranging from operations, business development, and Client Relations. Qualfon, a mission-driven business process outsourcing (BPO) company and global provider of contact center services, announced the addition of Mr. Steve DiBari, who recently joined Qualfon as a VP of Client Relations, reporting directly to Kristi Walsh, SVP of Client Relations for Christina Morris’ Group. Mr. DiBari will be responsible for a current client relationship along with Brian Gonzales, Director of Client Relations. DiBari joins Qualfon with more than ten years of experience in call center management in various roles, ranging from operations, business development, and Client Relations. He has been critical in cultivating relationships and building the embedded pipeline for his previous employers, with notable brands such as Apple, UPS, and Macy’s. DiBari obtained his BBA from Florida State University and currently lives in Palm City, FL with his newlywed wife. Qualfon is a mission-driven BPO company and a global provider of contact center services and back-office processing. With experienced BPO leadership and a strong track record of business growth dating back to our founding in 1995, Qualfon helps companies reduce costs and deliver superior customer experiences. Today, we have approximately 12,000 employees serving international brands across many industries, and our intelligent outsourcing locations span the United States, the Philippines, Guyana S.A., and Mexico. Qualfon’s mission to “Be the Best BPO, Make People’s Lives Better” means we invest in our people and, in return, they take better care of you and your customers. Qualfon’s employee retention regularly exceeds the industry average, which creates a people-driven value chain: Our employees stay longer, providing you a higher quality service at a lower price.